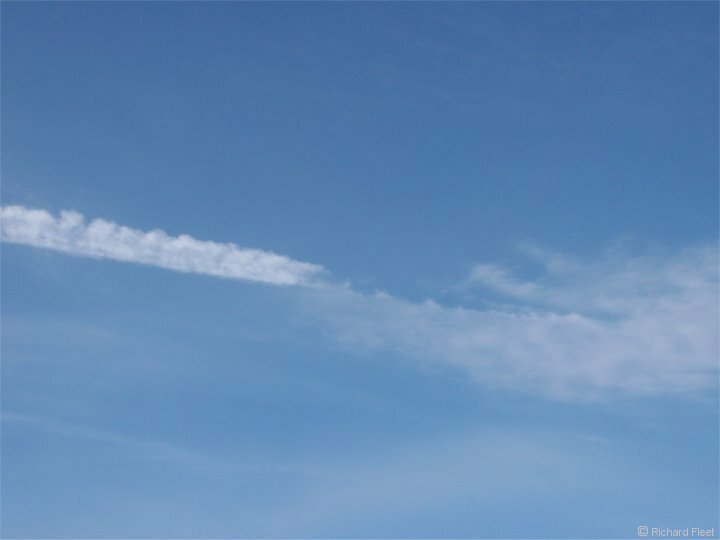 The dissipation trail is the opposite of a contrail where jet exhaust has caused the thin cloud layer to dissolve. In this example there is also a strong corona and some iridescence. This is no coincidence because the best coronas occur in cloud that has just formed or is dissipating. The passage of a jet has caused part of the cloud on the right to dissolve. As the jet passed into clear air its exhaust then created a contrail instead. 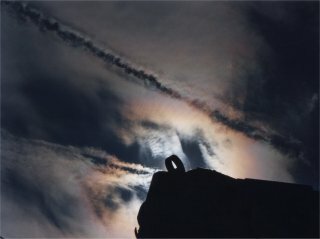 This example is more subtle with the jet exhaust and turbulence leaving a trail of dissolved patches in the thin cloud. The extension of the pattern into the clear air above suggests it also triggered the formation of some very thin cloud along the edge of the trail. 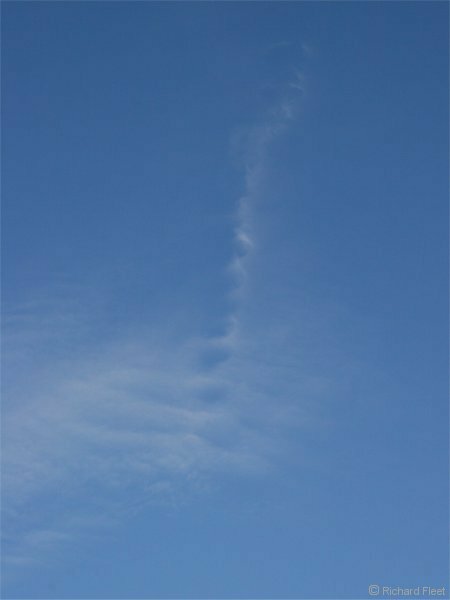 This sort of cloud is usually very good for cloud coronas, but this one was in the wrong part of the sky.